Home > Play > Family Dog > Am I Ready For A Dog? If you didn’t grow up with a dog, you might not know much about them — how much care they truly need. We encourage you to do your research, which it looks like you are since you came across this article. It’s important to educate yourself on pet ownership so you can make your life and your dog’s life better. 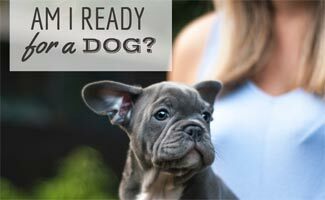 So, are you ready for a dog? Find out what to consider before you jump in. There are many costs associated with getting a dog. Some of these costs are for one-time purchases (or less frequent) while some are for monthly (or more regular) items. Below is a list of items you’ll need to be prepared to buy if you are considering getting a dog. We also included the price (at time of writing) for our #1 pick, if we’ve reviewed the product. Keep in mind that all of these items are not required, but are commonly purchased by pet parents. If you do the math, all of the items listed above with prices next to them totals about $600. That’s a scary number but remember, very few are monthly fees, and not all of these are “mandatory” purchases. We suggest that you save up some money so you are prepared for these type of costs as well as a little extra for any emergencies (which can cost $90-$120 for the emergency visit alone), although we hope you won’t have any. Better safe than sorry! There are two elements to consider when we discuss the time you have for a dog. The first consideration is the needs a pup will have day-to-day. Dogs need walks, training, play time, exercise and human interaction. 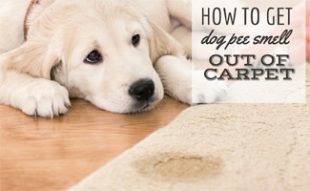 The amounts of time these activities take may vary depending on the energy level of the dog. It’s not fair to keep your dog in a crate or small cage all day every day. We understand that you may need to crate your dog while you’re at work, but at the end of the day, they need to be able to stretch their legs and experience new environments. If you find yourself away from home the majority of your days, we recommend you wait until your schedule is less busy. 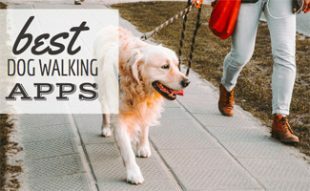 Yes, you could hire a dog walker/sitter, but you’re missing out on the experience of being a pet parent and that could get expensive fast. 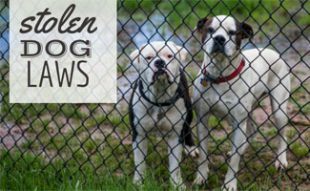 The second time factor of time to consider is if you have years to commit to an animal. When getting a dog, you’re faced with the commitment to be there for him for the rest of his life. This isn’t a new workout program or diet, where you try it out for a week or two but then give up. Getting a dog is a serious, long-term obligation. This dog will be your companion for the next 10+ years, depending on its breed, health and age. 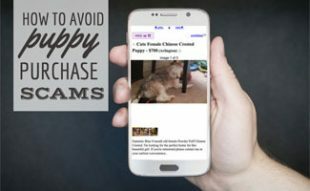 The last thing to consider, and quite possibly the most important element to consider, is if everyone in your household is on board with getting a dog. Perhaps your child came up to you and said, “I want a puppy.” It’s important not to act on your child’s wants immediately. Talk it over with other members of the family. The last thing you want is someone in your family not being supportive of adding a new member to your family. Roommates also get a say in adding a new tenant to the home. No matter your living situation, be sure to discuss the topics we’ve laid out above with your household to make sure everyone is on the same page. Here’s a handy checklist we put together to reference before getting a dog. 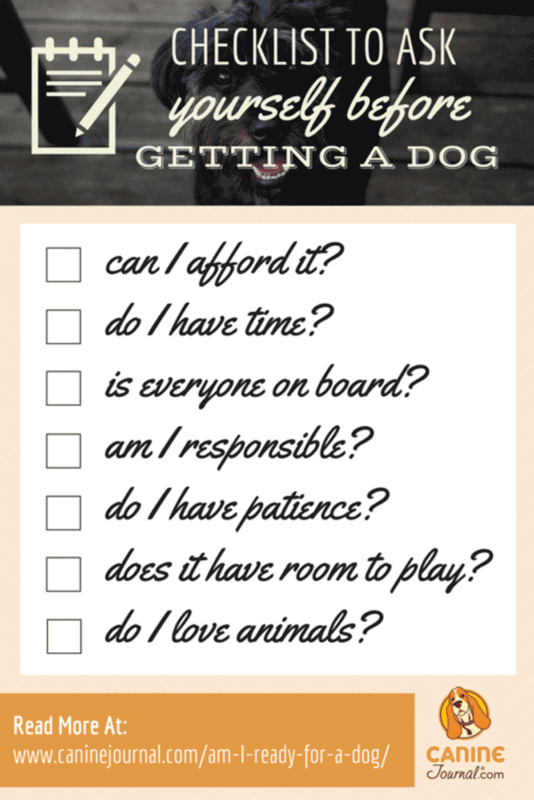 If you check all these boxes then congrats you are ready for a dog! What made you want to get a dog? I’m, glad that you pointed out how people should consider if they have years to commit to an animal if their thinking of getting a puppy, All but my youngest son has moved out of the house, and we’re currently considering getting a poodle before the year ends. Me and my wife have a lot of spare time on our hands so I would think that we’re fit to adopt a poodle puppy or two soon.